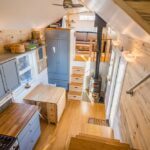 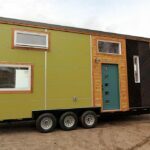 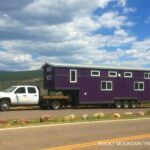 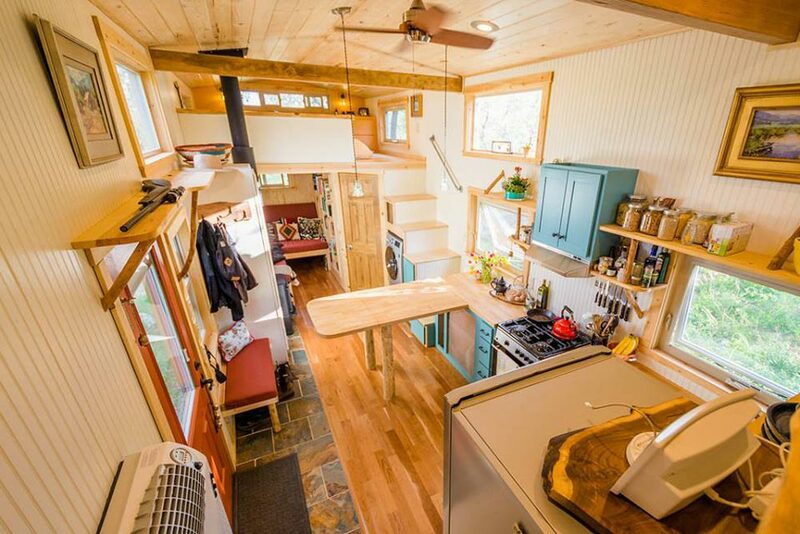 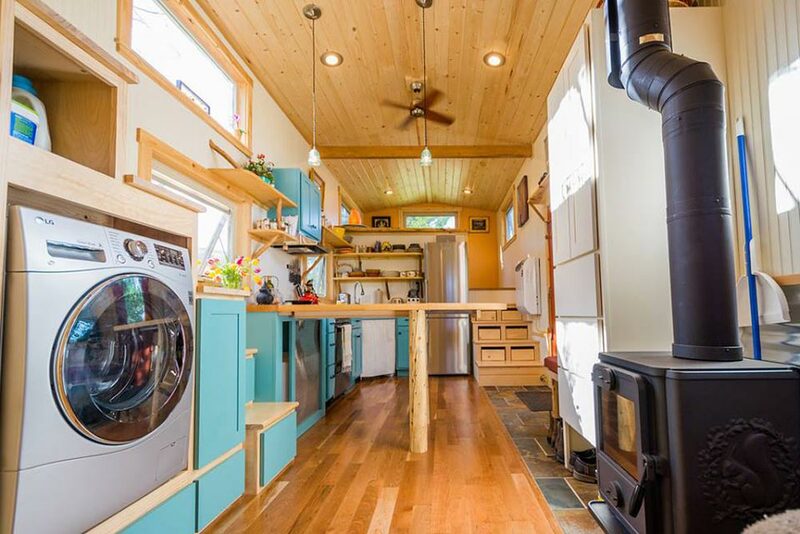 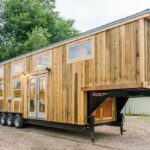 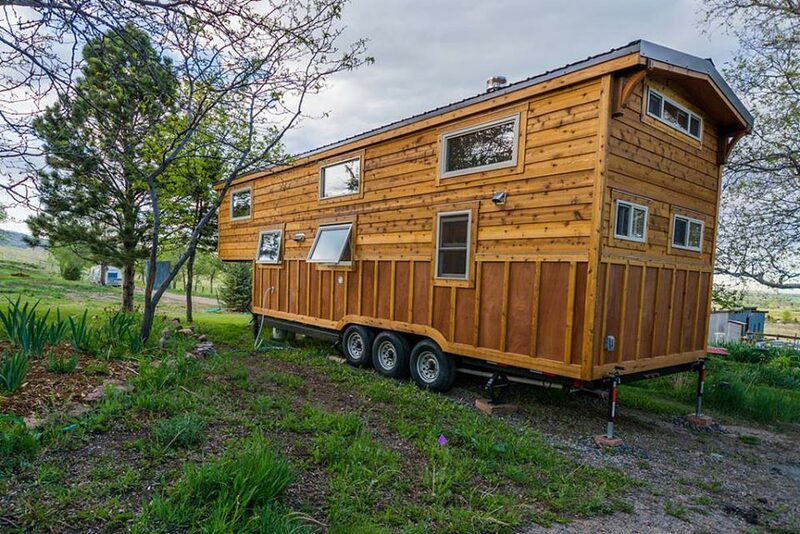 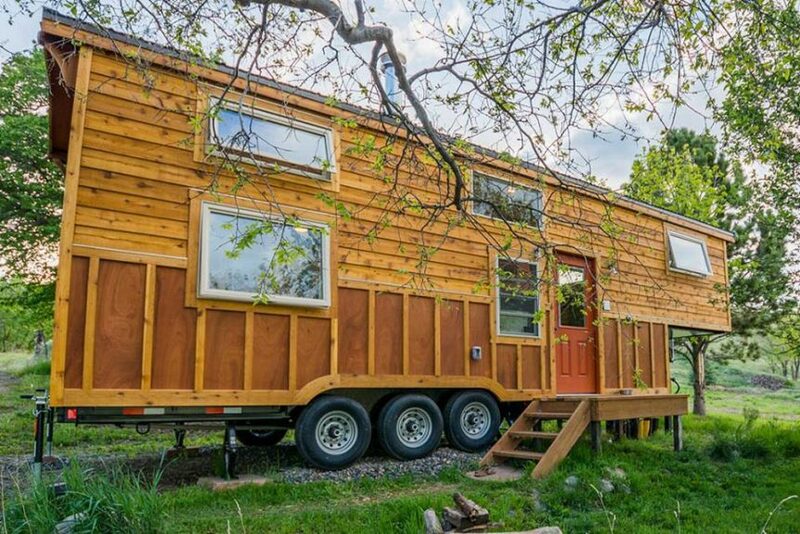 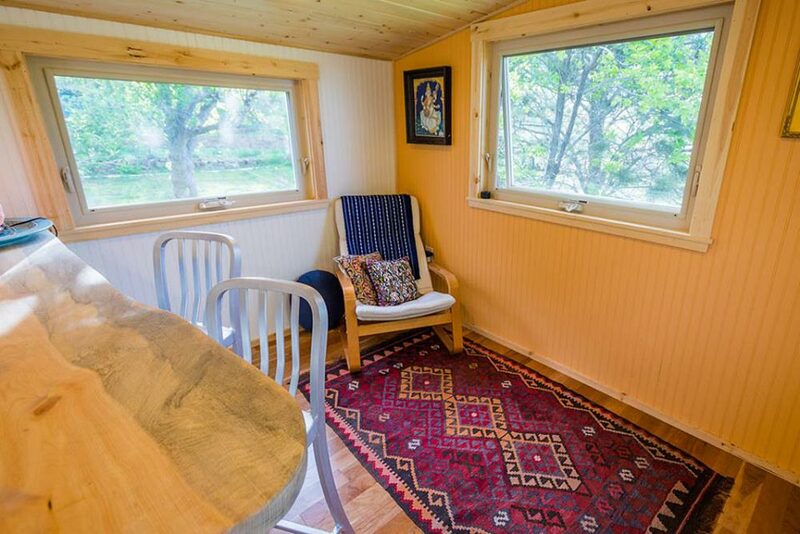 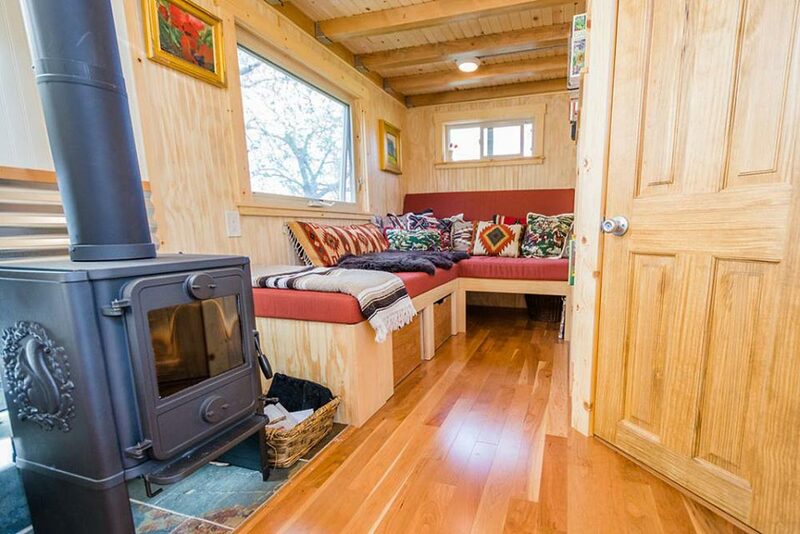 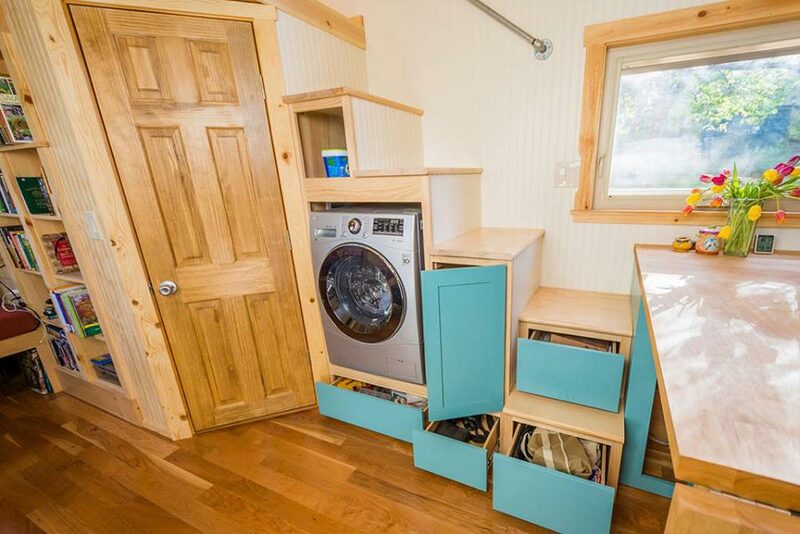 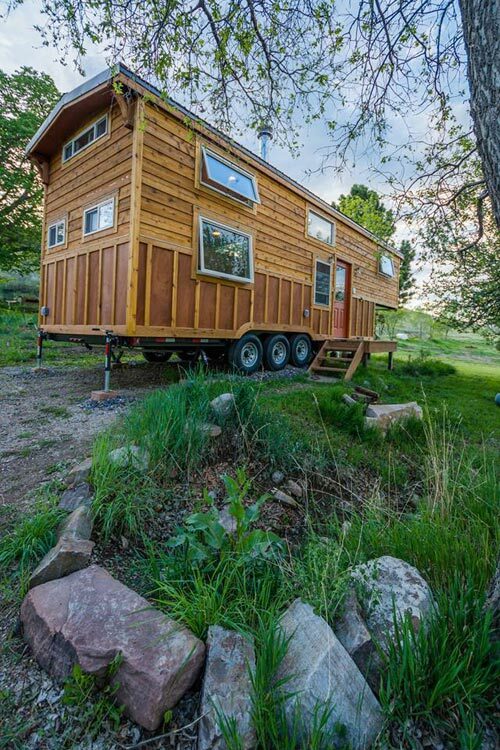 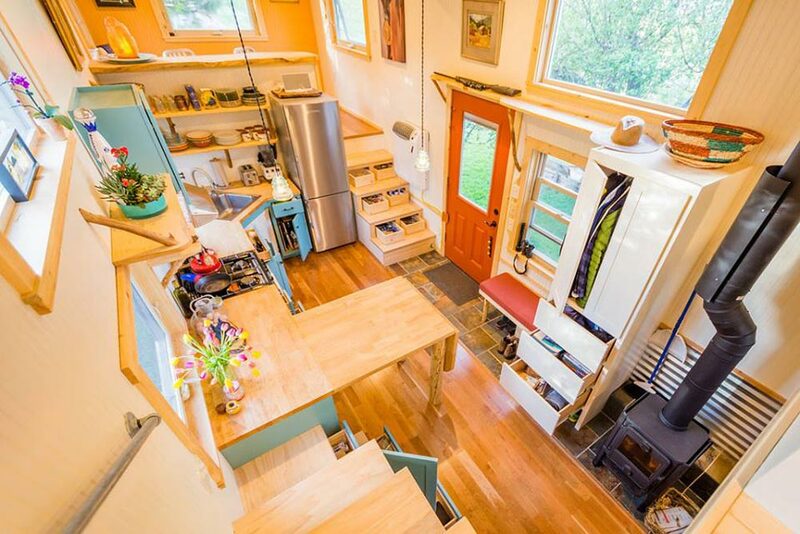 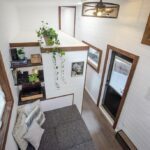 Built on an over-width 10’x33′ trailer, this gooseneck tiny house provides a spacious interior with two distinct living spaces and a bedroom loft. 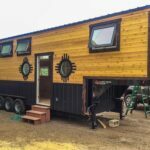 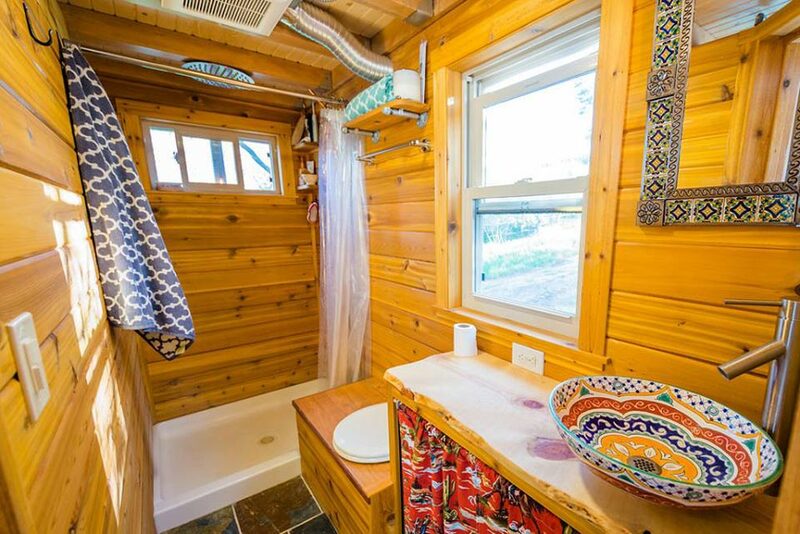 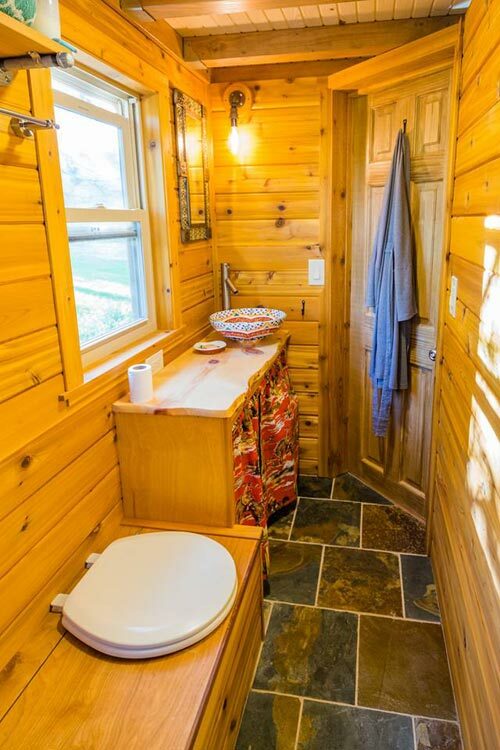 MitchCraft Tiny Homes built the tiny house for their clients, Eric and Oliver, using all cedar siding, slate tile in the entryway and bathroom, and cherry flooring throughout the rest of the house. 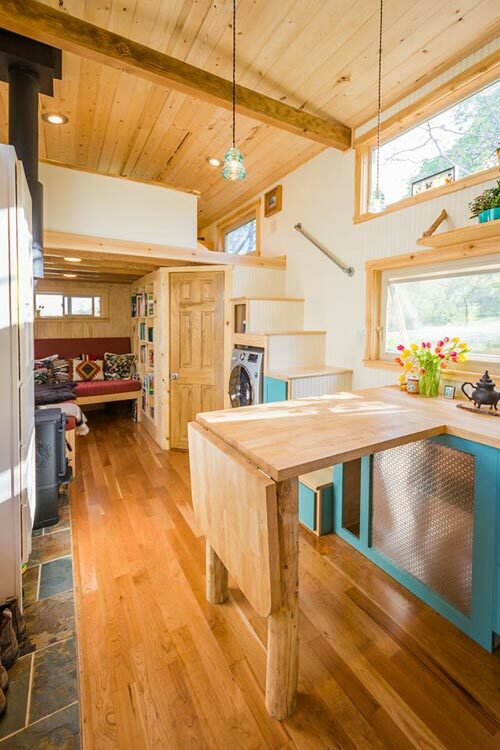 The kitchen is located in the center of the home, providing separation between the living areas. 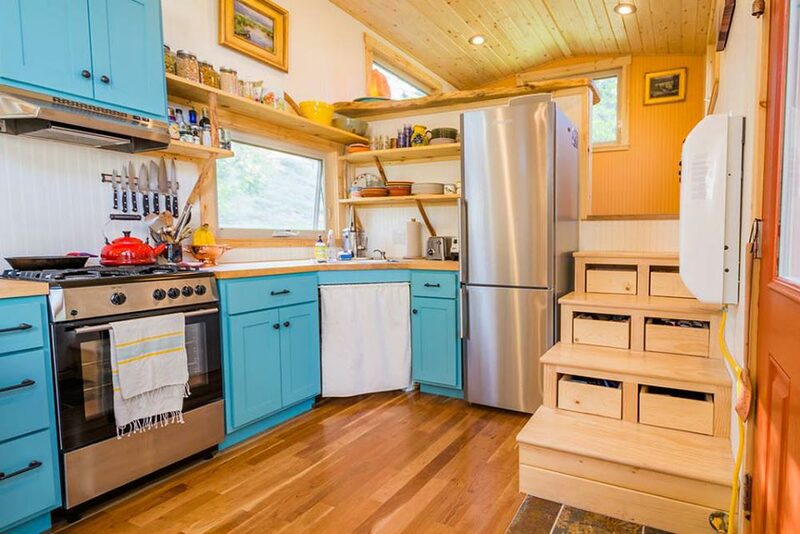 In the kitchen is a gas range, full size refrigerator, and an L-shaped butcher block counter with a fold down extension. 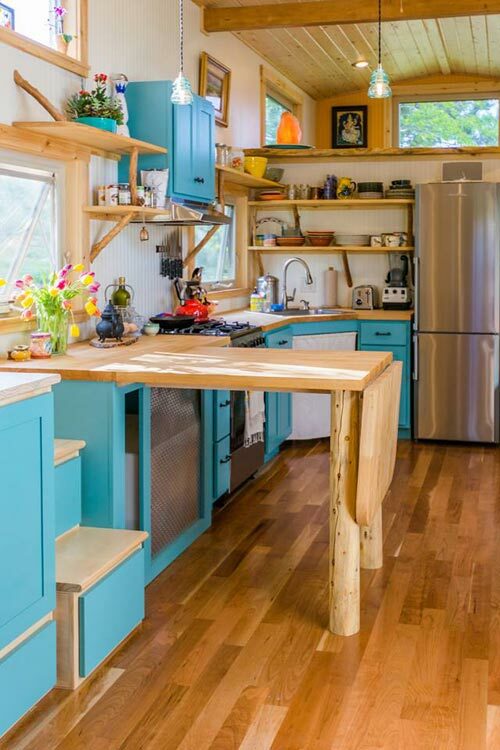 The colorful cabinets contrast nicely with the rustic finishes throughout the house. 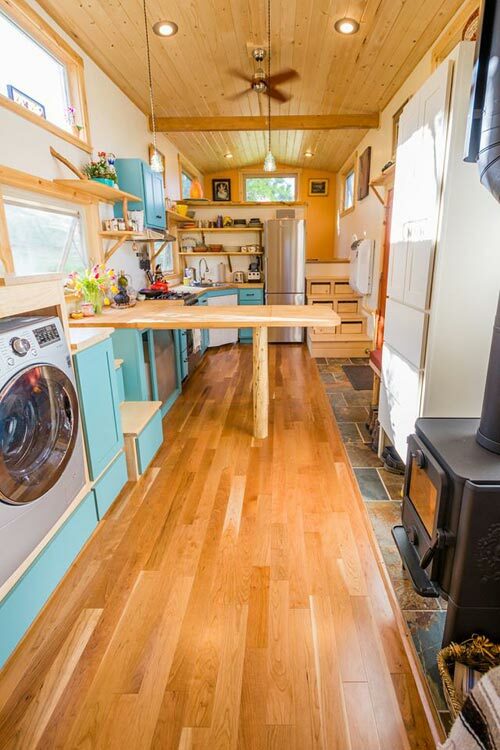 The living area over the gooseneck deck has a bar top and stools that overlook the tiny house. 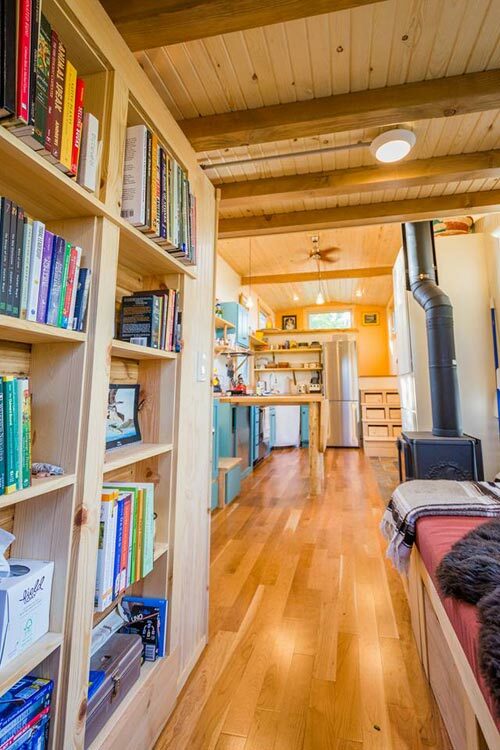 On the opposite end of the house is a reading nook with bookcase and a bedroom loft above. 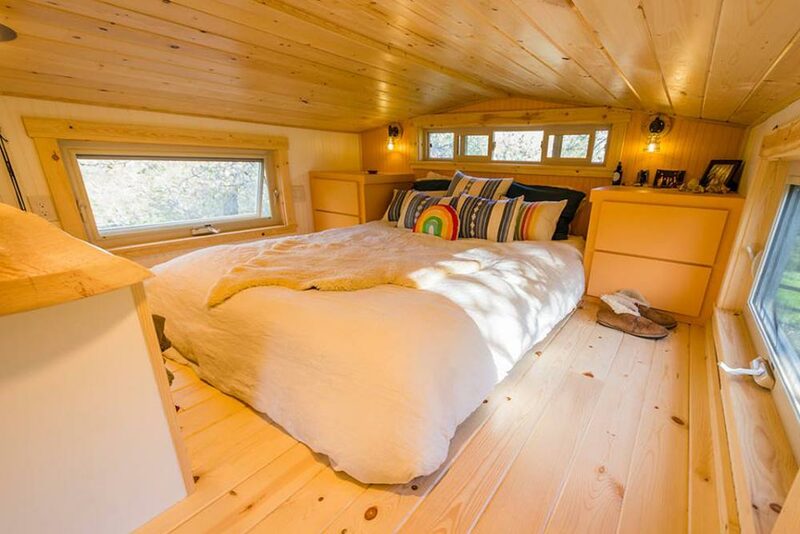 A wood burning fireplace is located at the end of the nook.